FOR IMMEDIATE RELEASE: Portland, Maine (May 3, 2018) – New England Fights (NEF) returns to Aura in Portland, Maine with its next mixed-martial-arts event, “NEF 34: Home of the Brave,” on Saturday night, June 16, 2018. Earlier today, the fight promotion announced the addition of an amateur bantamweight bout to the card. Killian Murphy (1-0) will meet Gabriel Diaz (0-1) at a fight weight of 135 pounds. 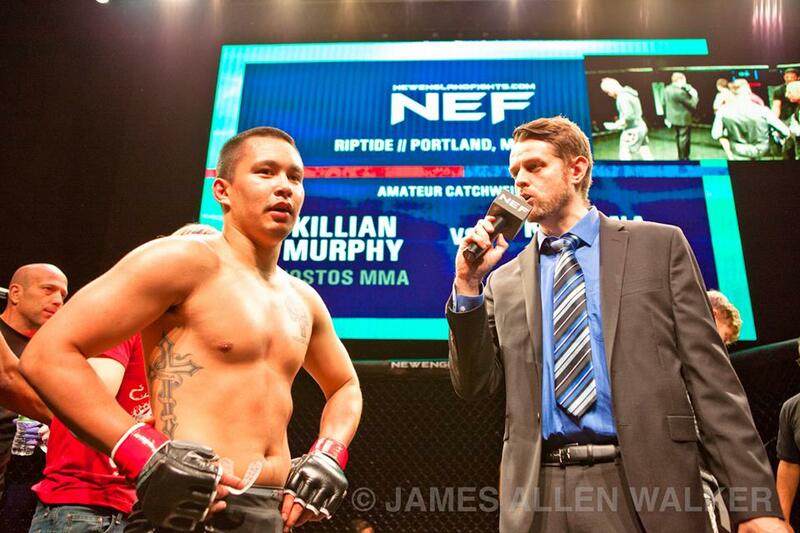 Murphy made his cage debut last month at “NEF 33” in Portland with a first-round technical knockout of Krishna Scott (0-1). He followed the footsteps of his older brother Connor Murphy (1-2) into the NEF amateur ranks. Killian trains with Nostos MMA of Somersworth, New Hampshire under the tutelage of UFC signee, and former NEF Pro Lightweight Champion, Devin Powell (8-3). Prior to joining Nostos, Murphy was a standout on the wrestling mats for Marshwood High School in Elliot, Maine where he won a Class A state championship in 2015.